We are Excited to announce that Froggy's Fragrances will have for the first time, its own booth at Transworld Halloween and Attractions Show this March. 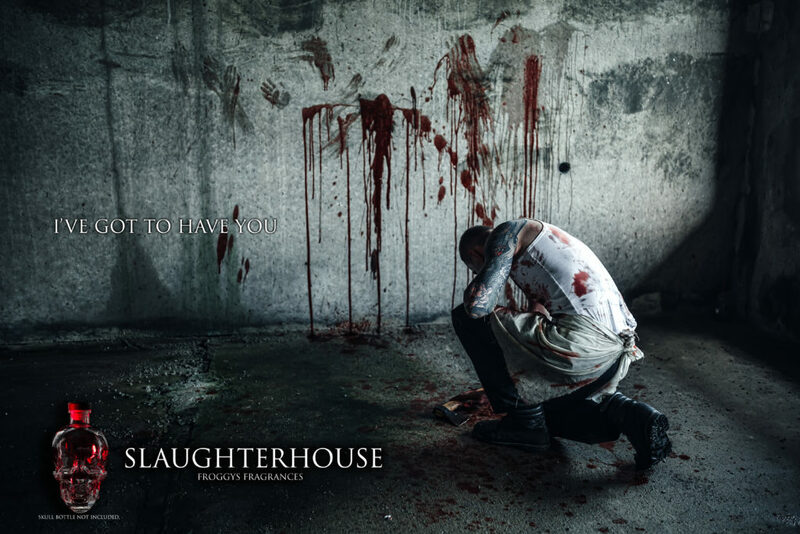 With the rebranding and focusing on delivering the best scents for the industry and beyond, we have put a lot of effort in helping you take your haunt from just a visual and audible experience to stimulate all the senses. Although Froggy's Fragrances aren't new (They have been around for 5 or so years now) we are seeing the possibilities and trying to make it easier than ever to add this awesome and affordable feature to your attractions. Water Based Fog Machine Additive- Can be added to Fog Machines to scent the Fog. This is the only type you can use in a machine. It's not safe to pump hot oil out at your customers. Alcohol Based Spray on Style-Spray it on Costumes, Props or anything else you want to stink to high heaven or smell sweet as candy. 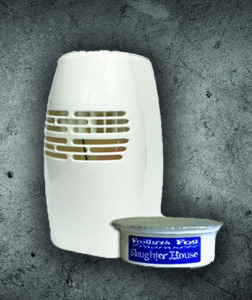 The White Scent Distribution Box is perfect to scent a particular scene or room. They are simple to use and low maintenance. Simply Select from one of our many Froggy's Fragrance Scent Cups, remove the top foil cover, place it in the Machine along with a D Battery and place it in your room. The scent cups will last 45+ days and the Battery will as well. So there is no need to turn it on and off. There is also a lock function so your actors who are tired of the scent cannot turn it off either. We suggest you turn it on a week or so before you open to let the scent completely permeate the environment and let it run till the end of your season. At the end of the season or before the next simply purchase an oil refill, fill the cup back up and replace the battery and you are good to go for another Season! Simply add one-half ounce (0.5 oz.) of the solution to one gallon of your Fog, Haze, Snow & Bubble Juice to add the desired smell through your Party, Rave, Haunted Attraction, Home Haunt, Spooky Party, or Simulated Smoke Training. Order a Sample Pack today! 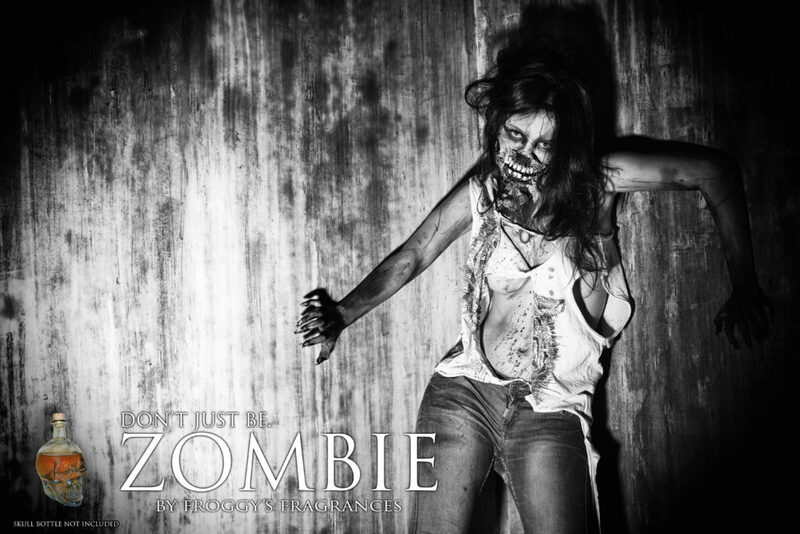 What better effect than having a zombie chasing a patron and actually smell like rotting flesh? Or a Clown smelling like Cotton Candy? Scent Sprays are perfect for wearing or spraying directly on a surface that you wish to have an aroma. Careful though only 1 or 2 sprays is needed! Never let your actor have the bottle, you will grow nose blind to it and end up over saturating. So put Booth 517 on your must visit list for Transworld and check out what Froggy's Fragrances have to offer! Have questions? Let us know below! This entry was posted in Froggy's Fragrances, Horror Themed Scents, Oil Based Scents, Scent Distribution, Spray On Scents, Water Based Scents and tagged water based scents, alcohol based scent sprays, slaughterhouse scent, zombie scent, Battery powered scent distribution, Scent Distribution, Disgusting Scents, Gross Scents, Horror Themed Scents, Horror Scents on February 16, 2017 by Scott Karan.